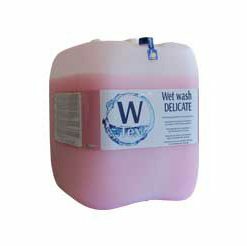 Waterproofing additive for professional water washing. Restores waterproofing to garments without altering their original texture, even after numerous washes. WET NORAIN protects garments from rain and liquid dirt. It is a suitable anti-stain treatment for tablecloths and napkins as well as for outdoor wear.